25 years ago, in the dying days of her government, Mrs Thatcher introduced the then quite improbable notion of contracting with the private sector to run prisons. 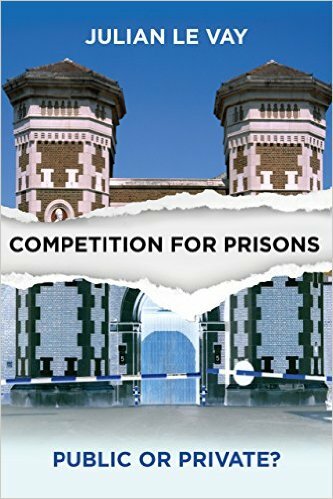 This book reviews how competition has unfoldeded since then, including the public sector prison service's rather odd dual role, both as customer for and competitor with the private sector. I contrast competition for prisons with examples of competition, or lack of it, in 'adjacent' services – immigration detention, electronic monitoring and probation – and contrast the story here with the very different one in Scotland. I conclude by answering the question whether competition has 'worked' - whether it has been worthwhile; whether it has been a legitimate enterprise, which some would contest; and whether it has a future. Why did I write this book? First, It is an important story – one of the most controversial and also most complete examples of outsourcing public services, and one of the longest running. Second, I was fed up with people writing about it from prepared positions, sometimes from ideological preference, sometimes with vested interests. I wanted to tell the story just on the basis of the evidence. And last, the story formed the central part of my career. To my surprise, the book ended up being as much about how well – or badly – we are governed as about prisons, or competition. "A fascinating book relevant to all interested in politics. Its superb analysis of the development of private sector prisons provides an excellent case study demonstrating the weaknesses of our political system."